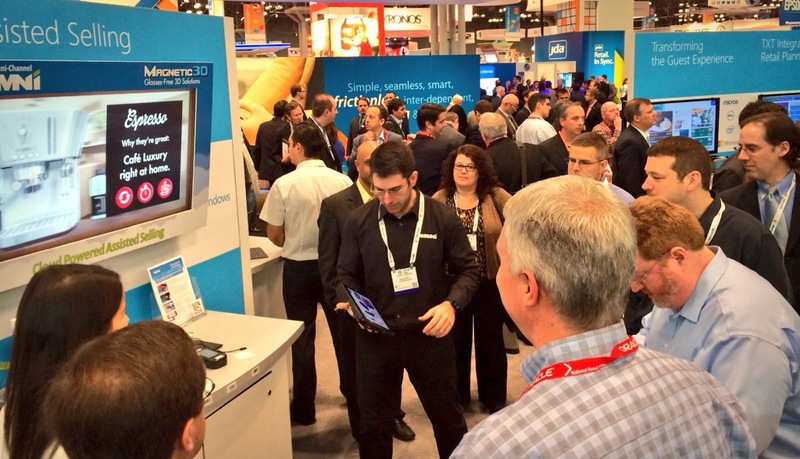 NRF 2014 Day 1, Just a perfect day! It’s been a perfect day! We know the big show is not done yet but still we want to thank everyone visiting our two stations / booths at the expo area. It’s been amazing to see your feedback and hear directly from you that all we have been doing during the past one year was a perfect fit to your needs! 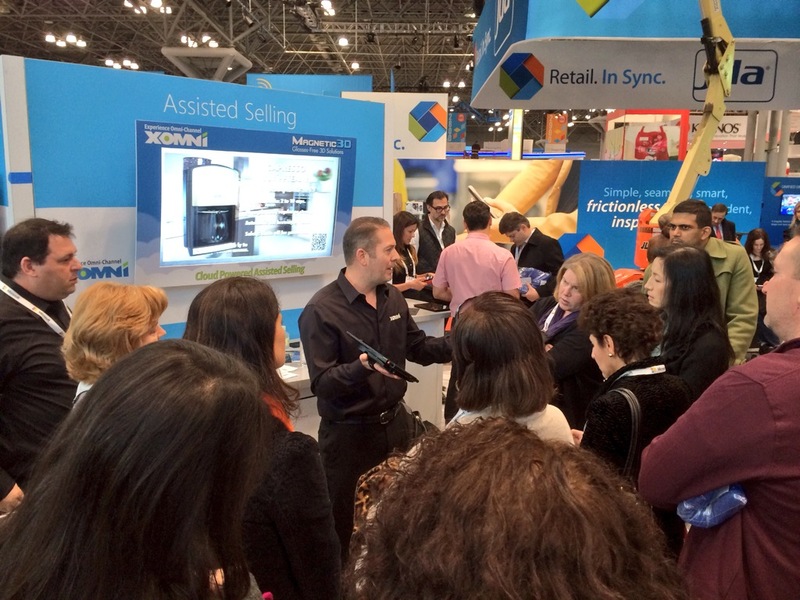 Some of you might remember our love for Polytouch from last years NRF. 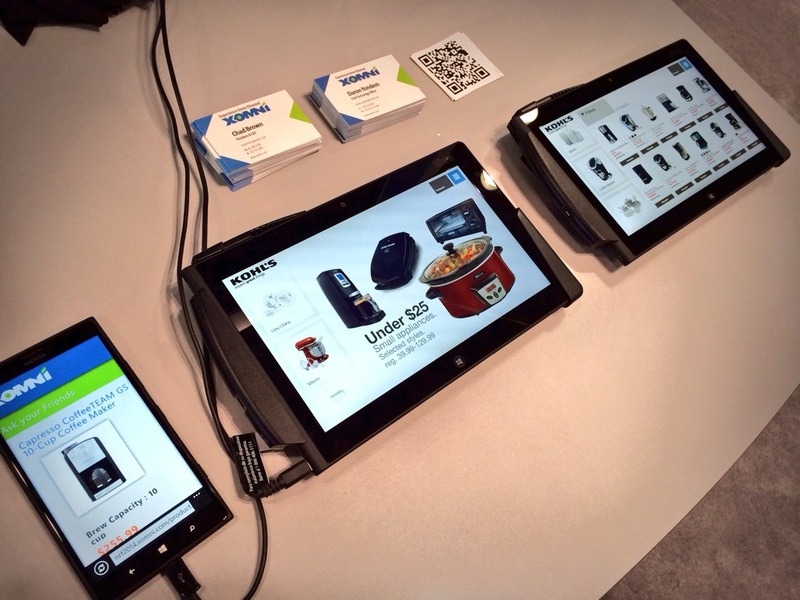 This year we are again running our new APIs (V2.0) with RFID and POS hardware integration on top of Polytouch. 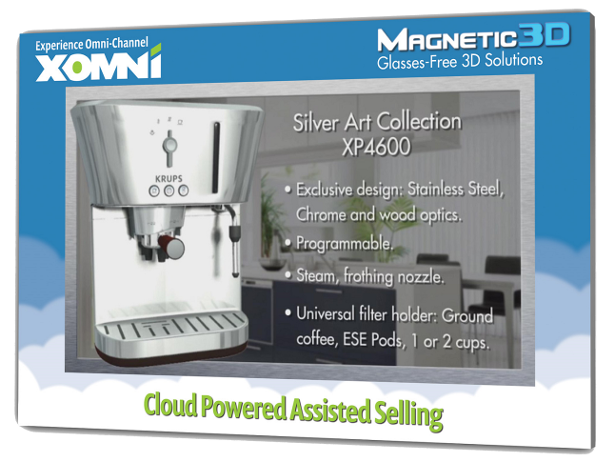 We just love the way it smoothly integrates with a customized set of hardware for In-Store Kiosk experiences. Our CTO, Daron Yöndem shows how OmniPlay works. With the introduction of our V2.0 XOMNI API one of the magical features we have is the OmniPlay. OmniPlay enables rich interactive user experience scenarios where particular device sessions can be moved around devices in a store. In this case it’s a product with 3D content that might be pushed to a 3D Digital Signate or a set of products in comparison screen pushed to a multitouch kiosk from an associate tablet for further modifications. This type of scenarios enable scaling the associates within a store and allow cross-device experiences leveraging multiple form factors and devices within a store. During the day the DigitalSignageToday team joined us for an interview with our very own CTO, Daron Yöndem and CEO of Magentic3D, Tom Zerega. 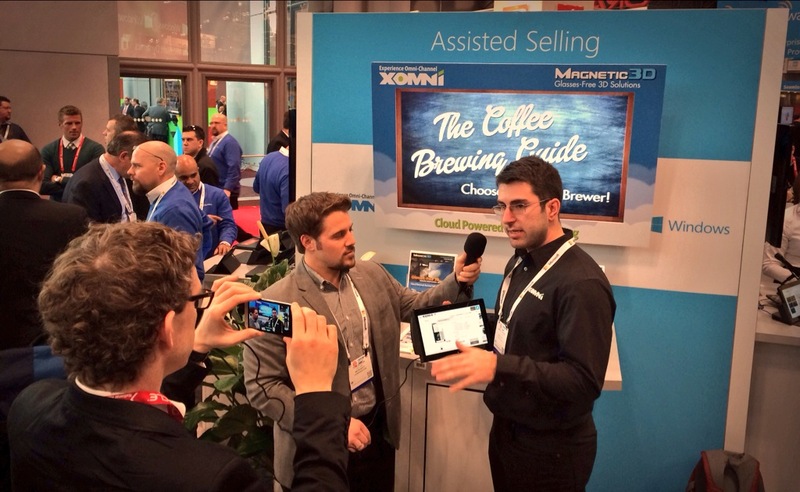 The two did a demo of OmniPlay showing the power of 3D screens in the retail and how XOMNI APIs can empower rich cross-device scenarios. If you still did not give a visit to our booth you should stop by tomorrow. Don’t miss the opportunity. Tomorrow will be the last of the Big Show! This entry was posted in Announcements on January 14, 2014 by XOMNIAN.